MacPhee & Partners is one of the largest legal and property firms in the Highlands and Islands. Established in 1996, we are a young and modern business. We pride ourselves in not just doing things the traditional way, instead tailoring each thing we do – whether it be a legal issue or selling your house – to the individual needs of you, our client, and the circumstances of each case. 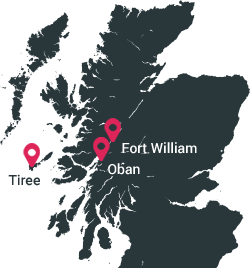 Our modern offices are therefore in the heart of both Fort William and Oban, open all day and on Saturday. Our lawyers, estate agents and other legal and property staff are pretty much always on hand. Each of our solicitors are specialists in particular fields as well as having the widest general experience in not only the legal requirements of this part of Scotland, but also the practical realities and issues of the area. Christine grew up in the Highlands and after a 20 year career in the central belt she made the decision to move back into the area with her husband, Angus, a teacher, and their two children. Christine joined the Firm in 2014 and is now a Partner and the head of our Commercial Department. Christine has acted for a number of Scotland’s largest land developers in the acquisition, development and sale of large-scale housing and mixed residential/commercial sites. She also has significant expertise in relation to the purchase, sale and leasing of industrial and retail developments, the latter for both Landlords and Tenants and in relation to the sale and disposal of hotels and other licensed premises. She has acted for small, locally owned businesses and larger companies alike. Christine’s years of experience means she is able to provide clients of the Firm with clear and consistent legal advice, having given due consideration to the practical and commercial considerations of a transaction. Christine is also a member of the Board of West Highland College. Areas of expertise: Crofting Law, Highland Estates, Highland businesses generally. 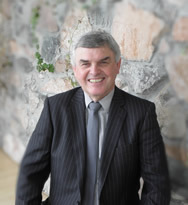 Duncan, along with his wife Rosemary, established the firm in 1996 and was Managing Partner until 2018. He is an accredited specialist in Crofting Law, regularly practising in the Scottish Land Court, but has a long and wide experience of Highland businesses. A Fort William local, he has practised in Fort William for over 30 years. Duncan has been President of the Lochaber Faculty of Solicitors, Vice President of Fort William and District Chamber of Commerce, Company Secretary of Lochaber Rural Complex Ltd and is a director of Lochaber Sports Association, Thomas Telford Corpach Marina Ltd, is Chairman of Fort William Shinty Club and serves on the Camanachd Association Appeals Committee. He is also a former President of the Lochaber Rotary Club, former Area Secretary of the Scottish Crofters Union, and a former member of the Institute of Directors. Duncan has also served on the Rural Affairs Committee of the Law Society of Scotland. Areas of Expertise: Private Client and Residential Conveyancing, Small Businesses, Executries and IHT Planning. 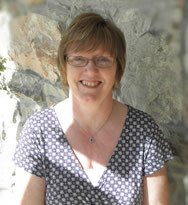 Rosemary is an adviser to many local businesses, organisations and families. She is a local business person herself, running a private nursery for 80 children – and has a family (and grandchild) of her own! Rosemary sets the benchmark for the firm’s conveyancing standards and controls the firm’s styles and forms databank. Until recently, she was also the Firm’s Financial and Cash Room Partner. Rosemary devotes much of her spare time (what little she has!) doing voluntary work with many local charitable organisations, local schools and junior shinty clubs. Rosemary is an adviser to many local businesses, organisations and families. She is a local business person herself, running a private nursery for 80 children – and has a family of her own! Rosemary sets the benchmark for the firm’s conveyancing standards and controls the firm’s styles and forms databank. She is also the firm’s Financial Partner. Rosemary devotes much of her spare time (what little she has!) doing voluntary work with many local charitable organisations and local schools. 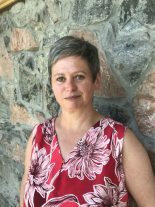 Born in Oban and brought up on the Island of Kerrera, Kath joined MacPhee & Partners in April 2010 after 25 years in Practice in Oban. Her main areas of work are Civil Court work and Family Law including all aspects of Separation, Divorce and Children both as a solicitor and as Safeguarder to the Children’s Panel. 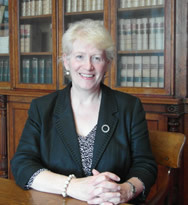 Kath is also appointed to act as Curator by the Court to represent children’s interests in Contact and Residence disputes and to produce written reports in Adoption proceedings. Kath is an Accredited Family Law mediator, which means she can meet both parties to a separation together and help them to work towards their own settlement, which can then be formalised into a binding agreement. Kath has been an Honorary Sheriff in Oban since 2004 and is a founder member and now one of the Directors of Family Mediation (Argyll & Bute). She is also a past Chair of Lorn Counselling Service. Born and bred in Lochaber, Claire started working with MacPhee and Partners in 2004 and has since risen through the ranks. After obtaining a Paralegal Certificate in Property Law, Claire then completed the Law Society of Scotland’s professional exams in 2012 (law degree equivalent) and a Diploma in Legal Practice (with Distinction) in 2013 at the University of Glasgow. Claire won Trainee Solicitor of the Year at the Scottish Law Awards in 2014 and qualified as a Solicitor in March 2015. Claire heads up our Family Law Team and also deals with Guardianship applications in the Sheriff Court and all Residential Tenancies. Claire is also a black belt and former British champion in judo! 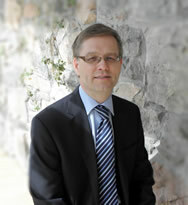 Jeremy qualified as a Solicitor in Scotland in 2001 and joined the firm that year. He already had a broad legal experience having worked as a Solicitor in England since 1986, where he undertook a wide range of work with an emphasis on civil court cases. At MacPhee and Partners, Jeremy specialises in crofting law and rural conveyancing including land court applications. His expertise in crofting law was recognised in 2011 when he was accredited by the law society as a crofting law specialist. He undertakes work on behalf of tenants, owner occupiers, landlords and grazing shareholders as well as referrals from other legal firms. 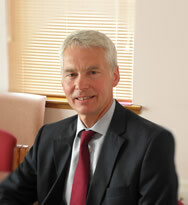 His practice encompasses both non contentious work such as croft purchases, renewable schemes, advising on a wide range of regulatory applications including decrofting, assignations, croft registrations and succession planning; as well as contentious work where he represents clients both at hearings before the Crofting Commission and in cases in the Scottish Land Court. He also instructs and works with advocates in complex cases and in appeals to the Court of Session. In addition to the legal complexities of crofting, Jeremy is also familiar with some of the practical aspect as, together with his wife, he runs the family croft. 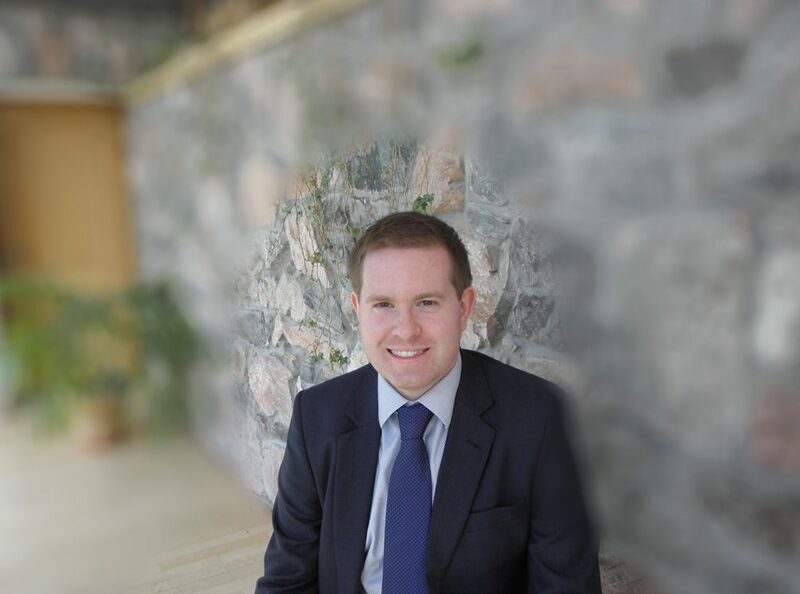 Keith is one of the Partners in our Conveyancing Section and has been with the Firm since 2007, having previously been the Area Solicitor with Highland Council and Clerk to the Lochaber Licensing Board. He has many years of experience of domestic and commercial conveyancing and licensing, and deals with domestic and commercial property sale/purchases, leasing and licensing work. Outside of work, Keith is a keen sailor and active member of Lochaber Yacht Club. When not afloat he is usually to been seen playing some kind of musical instrument including the French Horn and Trumpet in Lochaber Community Wind Band, the Great Glen Swing Band or the local Baptist Church Band. 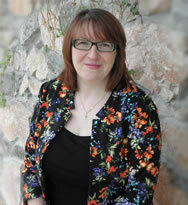 Katie oversees the whole of MacPhee & Partners’ Estate Agency business across Argyll and Lochaber. Katie joined MacPhee & Partners as an Estate Agent in 2007 after several years in Glasgow, during which she gained a Marketing Degree. Coming from a remote village on the Ardnamurchan peninsula has given Katie a unique insight into the rural property market. She has quickly risen to become one of the leading experts and operators in the West Highland residential property market. Gary is a Commercial Solicitor and worked for a firm in Glasgow for a number of years, after completing his training with a large commercial firm in Edinburgh. He has experience advising individuals, partnerships, SMEs and companies on a wide variety of commercial and property matters across different industries. Gary enjoys this work and the variation this brings on a daily basis. Gary recently moved to the Highlands along with his wife, Rachel, a native of Fort William, and he is interested in hillwalking, running and playing football and squash. Olivia hails from Arisaig and is returning to her home village, with her partner and two dogs, after a number of years working in the central belt. Olivia studied at both Dundee and Strathclyde university before taking up a post in Glasgow and specialising in commercial real estate and real estate banking. Olivia joined the team in 2018 and currently works alongside Rosemary MacPhee in our property department managing her own caseload of residential conveyancing files. 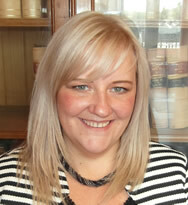 She also works alongside Duncan MacPhee in our wills and executries department. In her spare time, Olivia practices Muay Thai and plays the piano. Billie studied Law at the University of Aberdeen before moving to Edinburgh where she completed her Diploma in Professional Legal Practice. Upon graduating from the Diploma, Billie returned to her hometown of Oban to pursue her career. Billie qualified as a solicitor in July 2017 and, after excelling in the area of Family Law during her traineeship, is now based in our Family Law team. Outside of work, Billie is usually to be found on the hills or beaches walking her dogs. She also enjoys playing piano and socialising with her close network of family and friends. Rebecca hails from Fort William and decided to return to her hometown after a number of years studying in Dundee. Rebecca commenced her two year Traineeship with the Firm in May 2016 and, after a very interesting and diverse period of training, Rebecca is now fully qualified and is based primarily within our Commercial Department. During her Traineeship, Rebecca was shortlisted for The Law Awards of Scotland, Trainee of the Year 2017. Rebecca has experience dealing with trading businesses and commercial property work, with a focus on the purchase and sale of commercial property and associated trading businesses. Rebecca has acted for both Landlords and Tenants in relation to the leasing of commercial property and also for Developers in relation to local small-scale residential developments. During her time at University, Rebecca took a keen interest in Trust Law and is now, alongside Duncan MacPhee (Partner), expanding our Trusts Department to allow us to offer a very valuable local service to our many clients. Rebecca’s clients value her friendliness and for being approachable. She aims to provide sound practical advice at a client-friendly level. Outside of work, Rebecca can usually be found researching exotic destinations for her next holiday or local spas for the ultimate pamper day! MacPhee & Partners Solicitors and Estate Agent are delighted to announce the opening of their new office in the picturesque island of Tiree. As the leading West Highland Estate Agents and Solicitors, MacPhee & Partners understand the requirements and needs of their clients in more remote areas. The Tiree office will work together with our existing Oban and Fort William offices to deliver an “on the door” service for the Islanders. Our large team of legal and property professionals provide expertise on Property Sales and Estate Agency, Conveyancing, Family law, Crofting and Agriculture, Business and Commercial law, Employment and Wills and Executry law. Who better to run the Tiree office than native, Heather MacArthur, Senior Associate! 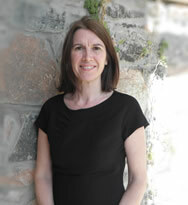 Heather joins the Firm with a wealth of legal experience, but more importantly Island experience. After studying and working in Glasgow for a number of years, it was always Heather’s ambition to return home to raise her young family, as well as bring her legal skills to the community. Mairi is a MacPhee & Partners institution! She has been with the firm since its founding in 1996. 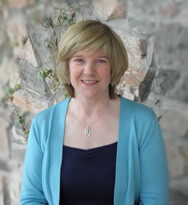 Mairi administers the numerous wills and executries that the firm deals with each year. Always understanding and sympathetic to what are often difficult times for families, Mairi supports the solicitors in the writing of wills, trusts and estate planning, and deals with the practicalities of winding up of estates. Beyond MacPhees, Mairi and her family are leading stalwarts of Lochaber Rugby Club! Katy was born and brought up in Ballachulish. Katy moved to Glasgow for a number of years working for well-respected law firms where she obtained her SOLAS qualification. 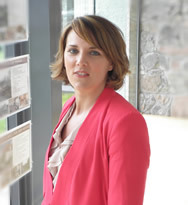 She returned to her native Ballachulish to bring up her children before joining MacPhee & Partners in early 2012. Katy qualified as a Family Law paralegal in 2014 before going back to her roots and moving into the Wills & Executries team in 2015. In her spare time Katy enjoys spending time with her family and friends. Fiona has recently joined our team having previously worked for large Glasgow law firms where she completed her Property Paralegal qualification. 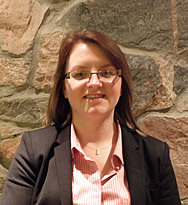 Fiona has a broad experience of property transactions including both commercial and residential. She has also been involved in many renewable energy projects and the project financing of renewable energy deals. Fiona has acted, amongst others, for developers, landowners and funders and is very experienced in carrying out property due diligence. Fiona also has significant experience in acting for financial institutions and insolvency practitioners and in dealing with the acquisition and sale of residential, commercial and rural properties. Fiona provides pragmatic and solution driven advice. She has an excellent understanding of clients’ expectations who appreciate her enthusiastic and approachable manner. Outside of the office Fiona is a Brownie leader and enjoys the outdoors. Morven was born and bred in Fort William. Having lived in Edinburgh for a number of years working for large law firms, where she obtained her Paralegal qualification, she returned to “home” to the Fort. She currently assists Christine Mackay in our Commercial Department and has her own caseload of residential conveyancing files. In her spare time Morven enjoys spending time with her family and friends and has recently become a Guide Leader. 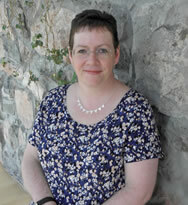 Lorraine is from Manchester and moved to Fort William with her husband in 2007. Lorraine joined the Firm in 2015 and was employed as Secretary to Keith Falconer, one of our Partners. 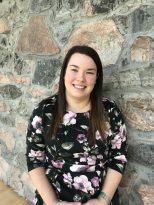 In 2018, Lorraine qualified as a Paralegal and is currently undergoing further training as part of the Law Society of Scotland Accredited Paralegal Program. Lorraine now manages her own caseload of residential property files and continues to work alongside Keith, assisting him to achieve smooth and stress-free purchases and sales for their many clients. 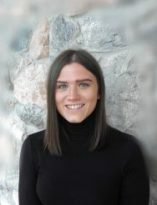 Ciara obtained her qualifications at The University of Edinburgh and completed her legal studies in 2018. 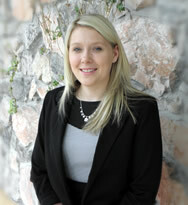 Ciara has now returned to her hometown of Fort William to progress her legal career. 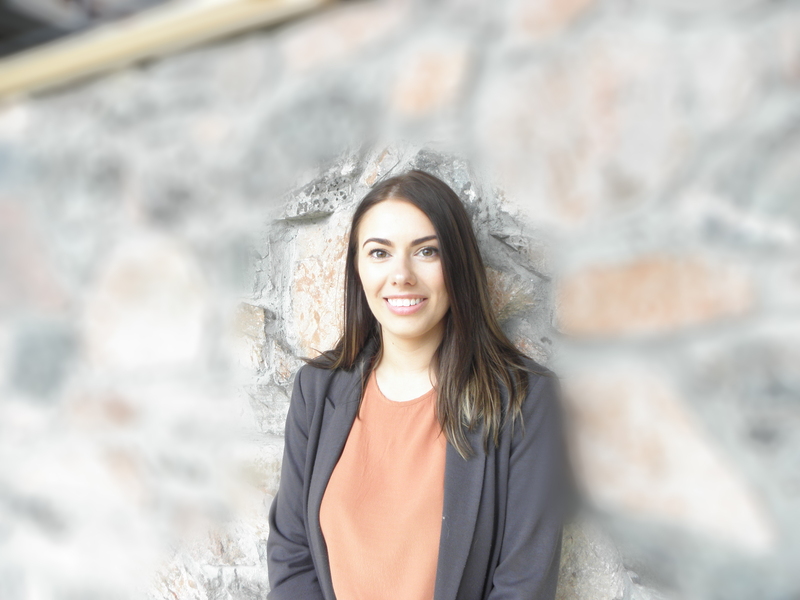 Before joining the Firm as a Trainee Solicitor, Ciara had already undertaken valuable work experience working with our other experienced Solicitors, making her well accustomed to life in the office. 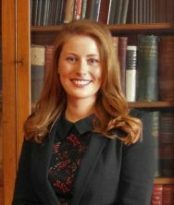 During her time at University, Ciara was the recipient of the Family Law Association Award 2016/17, and later went on to write and publish an article relevant to the Family Law field in the Edinburgh Student Law Review. She also successfully represented her University at the UK Student Mediation Competition in London, and secured second place overall. Ciara now looks forward to taking this keen interest in Family Law forward during her Traineeship and is also currently working closely with Rosemary MacPhee, one of our Conveyancing Partners, in our residential property department, gaining invaluable experience and knowledge. Out of the office, you can often find Ciara in the gym! Fiona joined the team in 2014, bringing with her a many years of experience in customer service and sales. 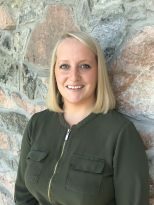 Originally from Onich and now living in Spean Bridge, her local knowledge and friendly manner have made a very positive impact in our Fort William office where she has quickly grasped the high demands the role requires. Her ability to instantly put clients at ease and understand their needs is a major strength, whilst an interest in design and photography is invaluable when creating our high quality sales literature. 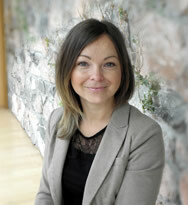 Mhairi Ann joined MacPhee & Partners is 2013. She previously worked for BT and Serco gaining a Marketing knowledge and administrative skills. 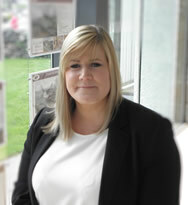 Mhairi Ann originally worked in our Conveyancing department and took a quick grasp of Domestic Conveyancing. She has since joined our Estate Agency team and is putting her legal knowledge along with her Marketing background into practice.